WASHINGTON DC, WASHINGTON, UNITED STATES, October 15, 2018 / EINPresswire.com / -- As an entrepreneur, it is vital to invest in the right Search Engine Optimization (SEO) skill in this modern business landscape. Hiring out SEO Company or digital marketing consultant can be an expensive deal for the floundering businesses rather than the successful industries. Luckily, there are great SEO tools for small business that make this a lot easier. Here you can take a sneak peek at the recent GoodFirms report that reveals the Best SEO Software that are supporting organizations to get started with SEO. SEO software is a tool that allows users to recognize, analyze or organize keywords and plan strategies to improve the organic search rankings of a business website to get ahead of competitors. This also aids in other activities which includes backlink analysis, content optimization and link building. Today, there is Best Marketing Automation Software available in the market that is used by many companies to assist them to complete the repetitive marketing tasks such as emails, social media and other website actions. The technology of marketing automation software makes these tasks easier by nurturing sales leads and by saving lots of time and effort of marketers. These all types of software have made easy and inexpensive for businesses to avail the most excellent services and keep growing. At GoodFirms you can also find the curated list of Best Artificial Intelligence Software and all other sorts of software that can be truly helpful for your business. GoodFirms is a globally renowned B2B research and reviews platform. It facilitates the businesses in getting linked up with the Top IT technology development companies and best software product providers. GoodFirms list the companies and best software's after evaluating each of them through multiple methodologies. This includes three main criteria's that is Quality, Reliability and Ability. Under these key factors, each company is identified by their complete portfolio, years of experience in their domain, market penetration and also refers to client reviews. Then consider all the above points and index them according to it in the list of Top Technology Development Companies and Best Software. Additionally, GoodFirms also ask the interested companies to participate in the research process and Get Listed for free in the list of their expertise and be a magnet to their target audience. 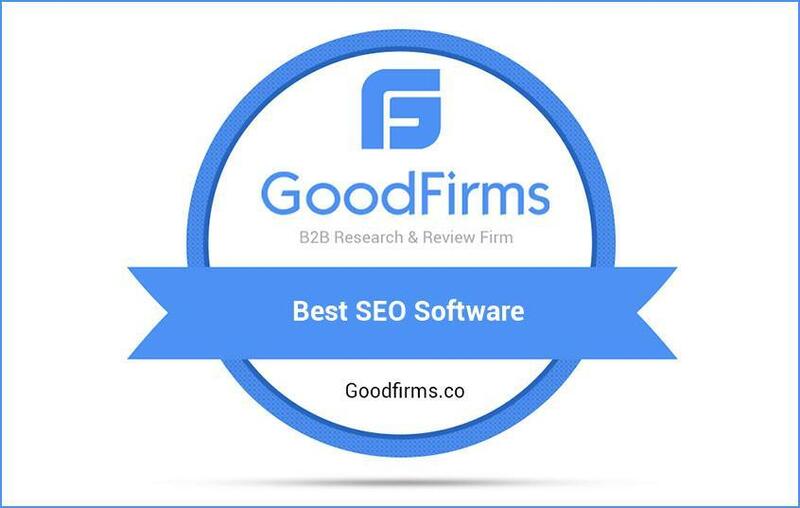 GoodFirms is a Washington, D.C. based research firm that aligns its efforts in identifying the most prominent and efficient best SEO Software that delivers results to their clients. GoodFirms research is a confluence of new age consumer reference processes and conventional industry-wide review & rankings that help service seekers leap further and multiply their industry-wide value and credibility.